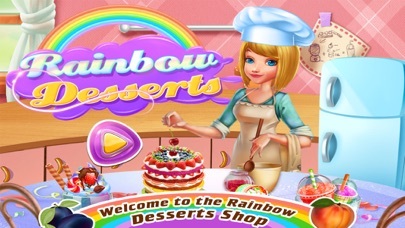 Home » Games » Rainbow Desserts Cooking Shop! The Rainbow Food Fair is finally here! Welcome to the Rainbow Desserts Shop! 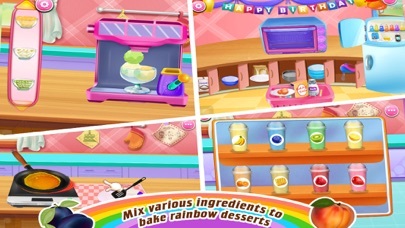 Cook, Bake and Serve various rainbow desserts together with your friends! Such as rainbow birthday cake, rainbow cupcakes, rainbow slush, rainbow ice creams and more! 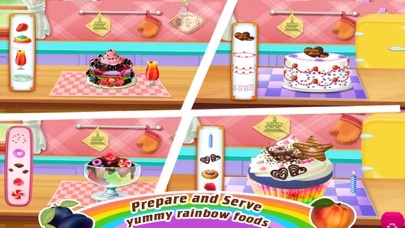 In this rainbow food maker game you make cakes and desserts in real time kitchen simulation environment. Grab your sugar and creams! 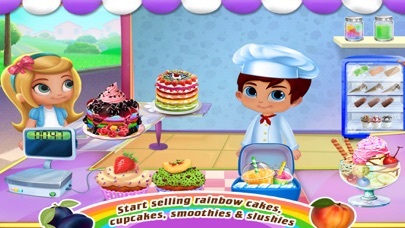 Rainbow Desserts bakery Chef - The best rainbow food maker game is here. Welcome to the rainbow desserts bakery shop. Features: - A super fun rainbow food-cooking game - Make yummy rainbow desserts - Five kinds of rainbow foods to make: rainbow cakes, rainbow cupcakes, rainbow slushy, rainbow ice creams, cones, and rainbow pancakes - Tons of real cooking tools to play: mixer, grinder, microwave, oven, spatula, juicer, freezer, ice cube molds, cupcake mold, cooker, pan, spoon and so much more -Tons of decorations to try: chocolates, juices, candies, fruits, sprinkles and so much more It's time to splash some color on your favourite desserts and snacks. These fabulous rainbow desserts have had a colorful makeover by using a spectrum of wonderful colors to. How to play? 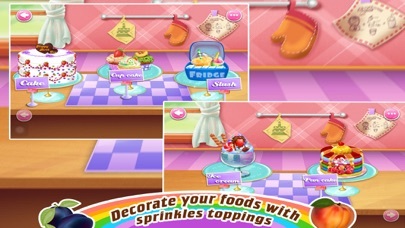 - Use easy-to-use controls to play the game - Take different courses for rainbow cake, rainbow cupcake, rainbow ice creams, and rainbow pancakes - Try different baking tools to make your foods - Mix various ingredients to create the unique flavor of your foods - Decorate your desserts with beautiful sprinkles, candies, fruits and cream toppings Come on! Let's get started NOW!